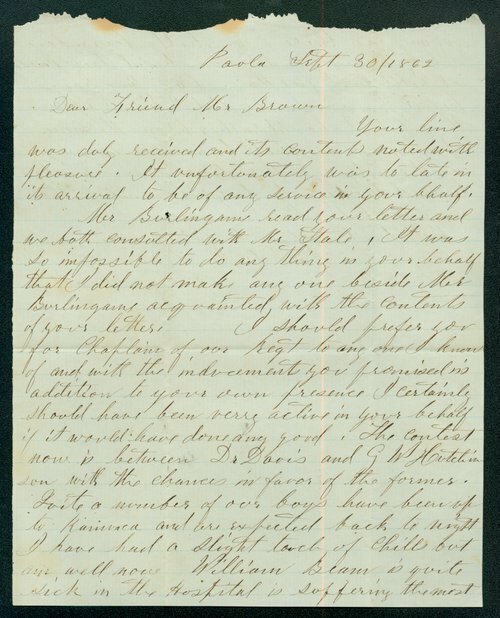 A letter written by J. Heath from Paola, Kansas, addressed to John Stillman Brown, a Unitarian minister who lived west of Lawrence. Brown had apparently asked Heath for assistance in helping him become an Army chaplain, but Heath's letter informed him that the request was made too late. Heath also discusses camp life in Paola.